Posted on March 25, 2015 at 4:01 pm. Don’t let the sideways rain from yesterday fool you–spring has officially SPRUNG! Take a few minutes to catch up on a few of the latest stories from this week, it’s time for your mid-week mash-up! 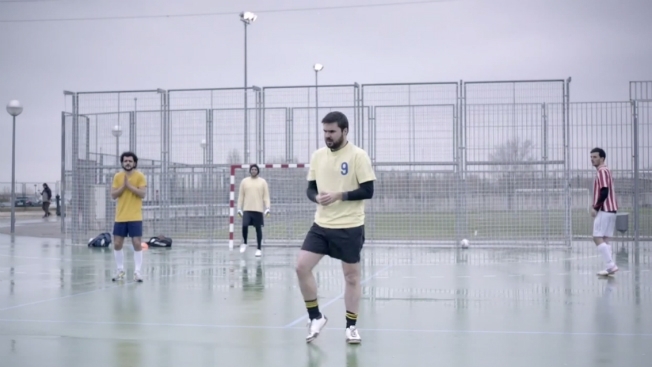 This fun ad from Spanish football magazine, Libero, humorously points out that any man who can play football, can also dance–despite what he might say. Explain it in terms that a man can understand…very well played. To celebrate St. Patrick’s Day last week, Jameson launched the #LongLiveTheShot campaign that coupled 3D ads on Instagram with proximity-marketing technology used to target people outside of specific bars and neighborhoods within New York City. In addition to the new ads and specific messaging, fans were also invited to share their St. Patrick’s Day experiences through the lens of a shot glass filled with Jameson whiskey. This collective celebration of St. Patrick’s Day that highlighted local neighborhoods can be seen on Instagram by searching #ShotsEyeView and/or #LongLiveTheShot. The latest video from OK Go is back and truly doesn’t disappoint! Full of amazing optical illusions, you will probably want to watch it twice! We’ve included another recent video and the infamous treadmill video that took the Internet by storm back in 2009. Enjoy!